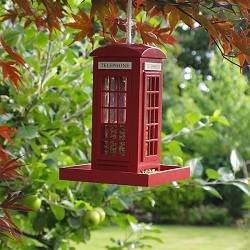 Stylish nesting abodes for your feathered friends! 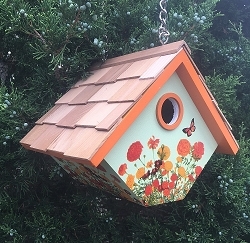 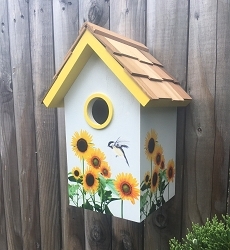 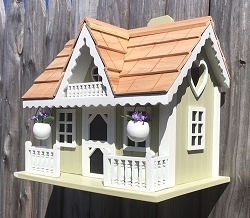 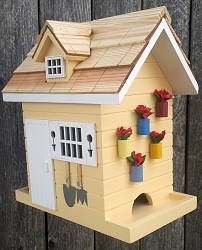 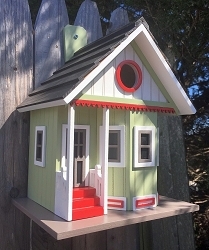 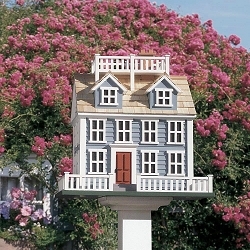 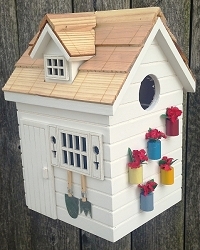 This fully functional birdhouse is topped with western red cedar and decorated with marigolds and a matching roof line. 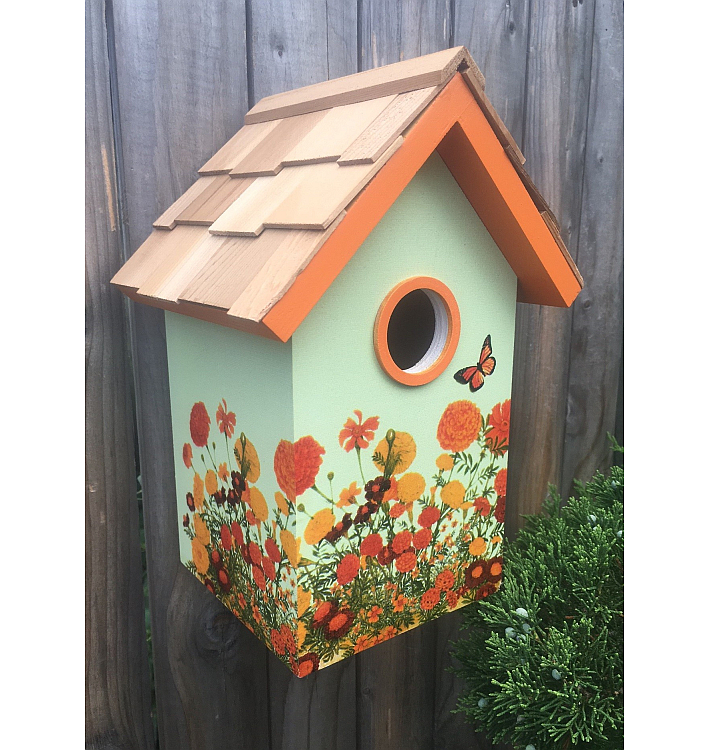 This standard nesting box can be fixed to a fence post with its pre-installed key-hole hardware. 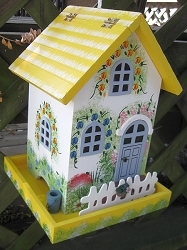 The back panel can be removed for easy yearly cleaning. 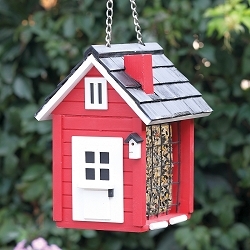 1-1/4" diameter entrance hole designed to attract small songbirds such as wrens, chickadees, titmice and nuthatches. 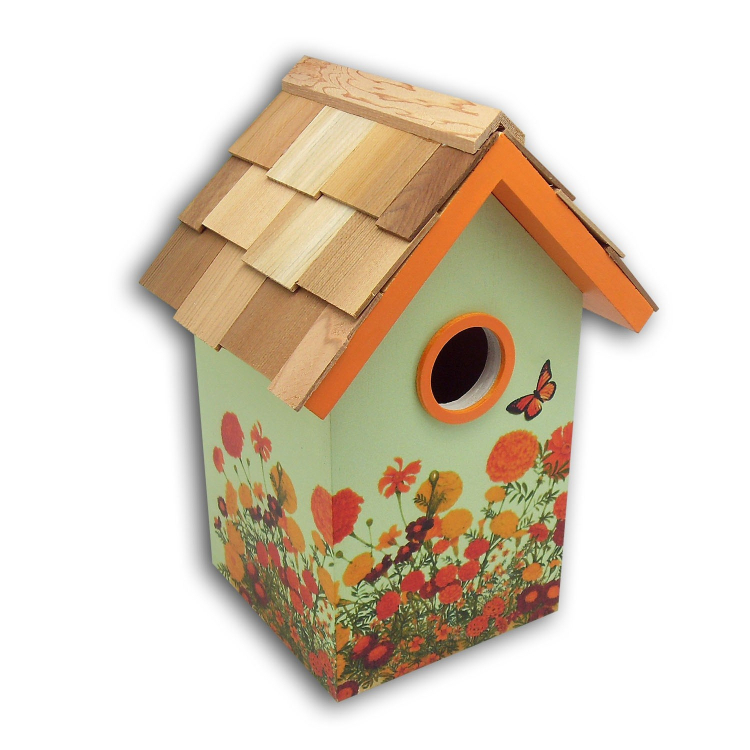 These colorful nest boxes make wonderful gifts for bird lovers any time of the year!